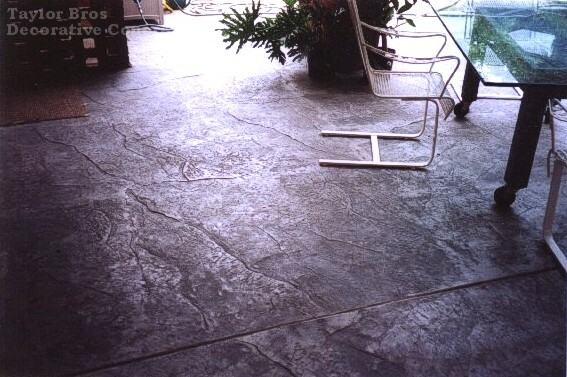 Nothing adds beauty, value, and aesthetic appeal to freshly placed concrete as the affordability of Decorative Concrete (a.k.a. 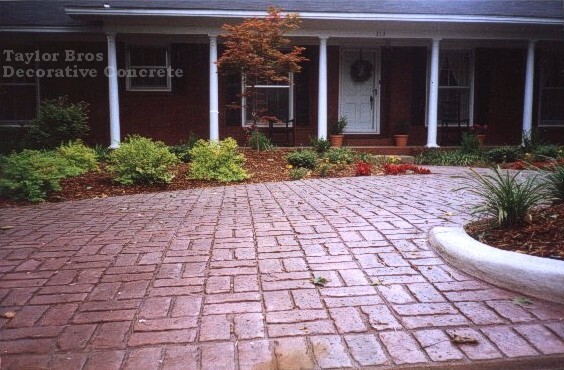 stamped concrete, pressed concrete, or textured concrete). 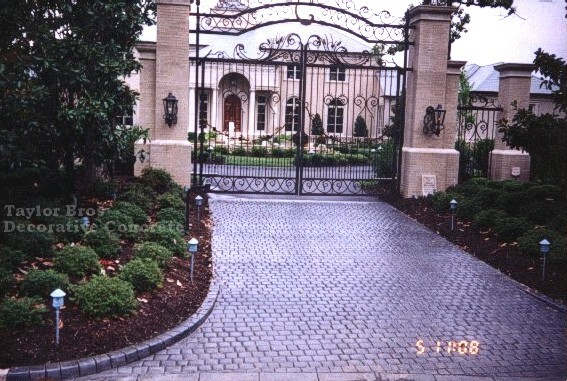 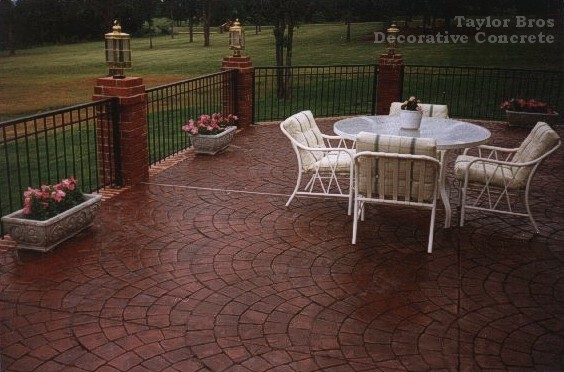 You can have the look of real stone, tile, brick, or slate with the strength and durability that only concrete can offer. 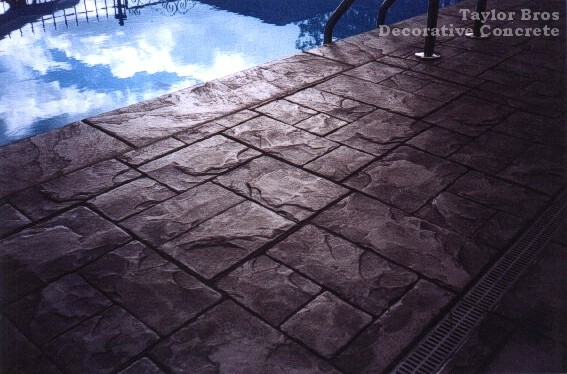 And when sealed, the surface becomes resistant to most household and automotive chemicals. 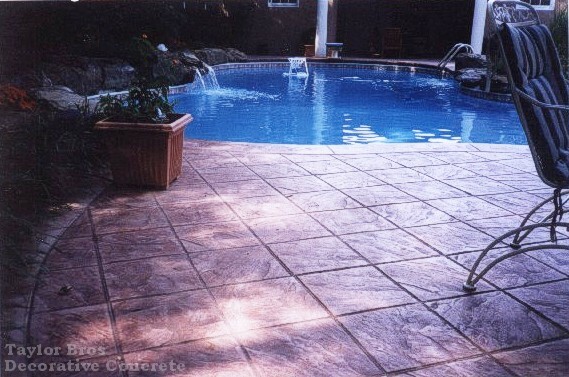 Decorative Concrete is available in a wide variety of patterns, color combinations, and textures to enhance any residential or commercial concrete application. 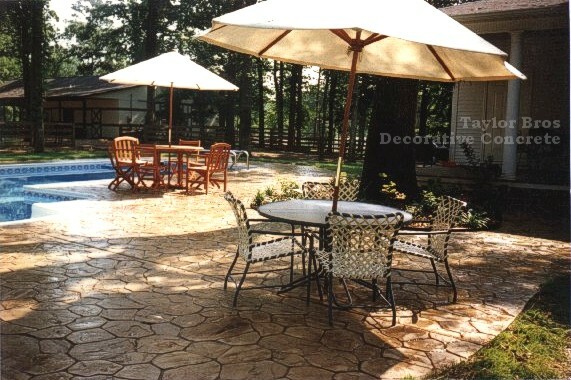 To see more examples of stamped concrete, please visit the Gallery. 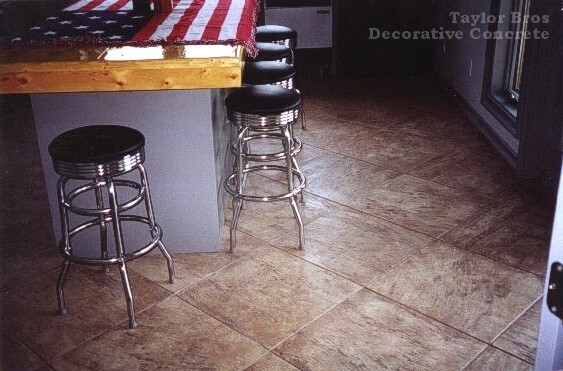 No information or images may be reproduced without the express written consent by Taylor Bros, Inc.